How has your week been? I've spent my week dreaming about sharing today's tutorial with you haha. If you've been following my page even just for a week, you know I usually enjoy doing looks that are very wearable and make anyone and everyone look like themselves and feel beautiful. 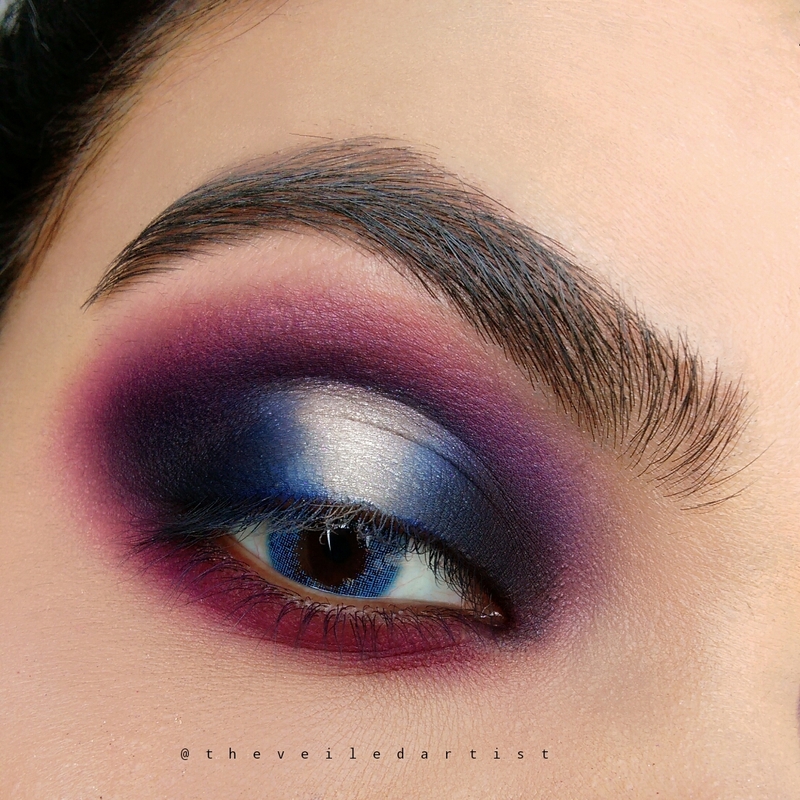 But Instagram makeup is a different type of artistry and even though a lot of people enjoy drawn in brows and heavily contoured cheeks, I look at this type of makeup as a form of art and it isn't something that I will be sporting around on a grocery run. That being said though, today I will be recreating the looks of one of the Instagram Beauty World's favourite artists Mitchell. All of his looks are incredibly precise, perfect and almost look like a painting! Now, while I do not possess that level of skill or the kind of makeup he uses haha, I still had the time of my life attempting to recreate one of his iconic looks so that's what you will be seeing today! I hope you enjoy! 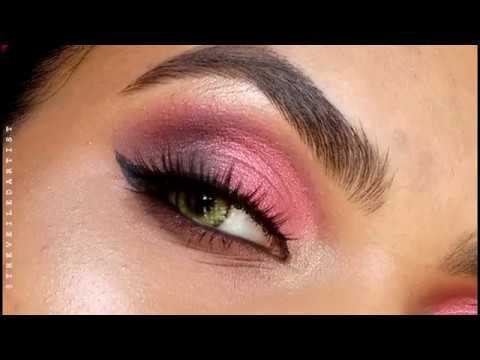 Blend the hot pink eyeshadow into your crease and a little above it. 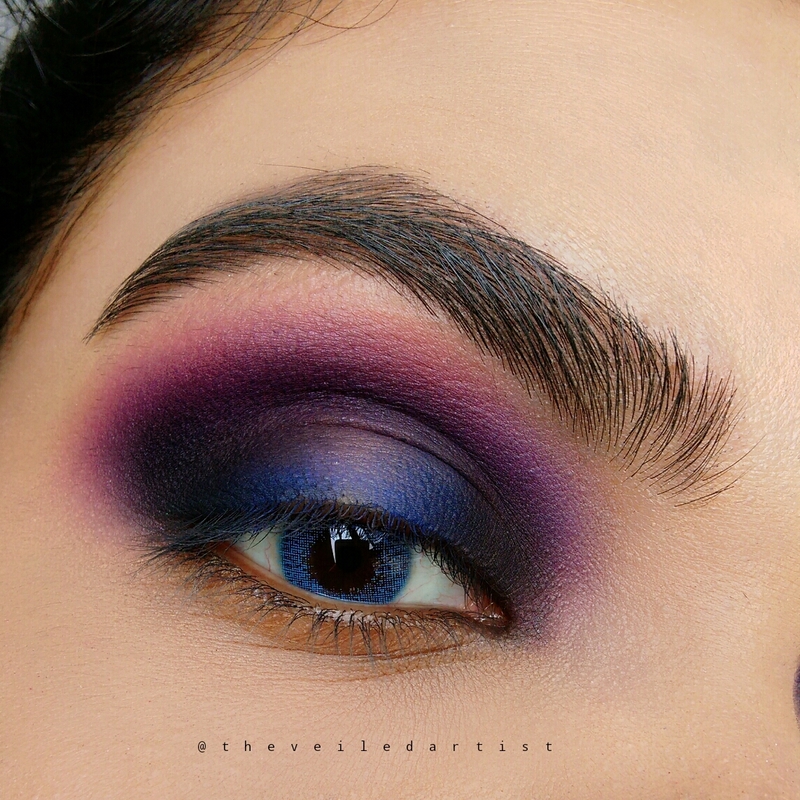 Take this shadow as high as you can on your eyelid space, without having it touch the brow bone. 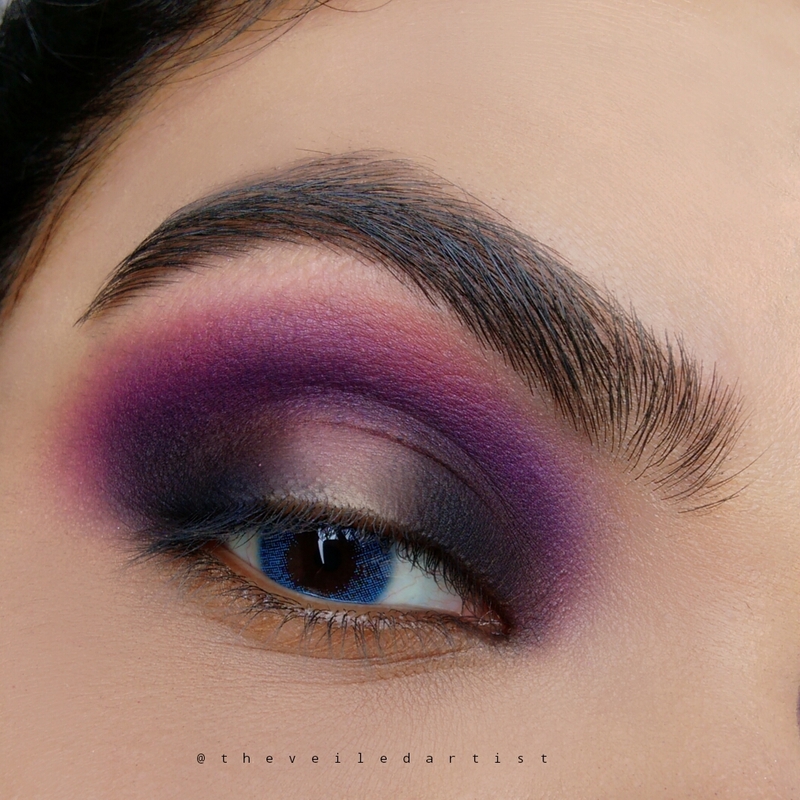 Blend in the matte purple shadow directly into your crease and a little above it. 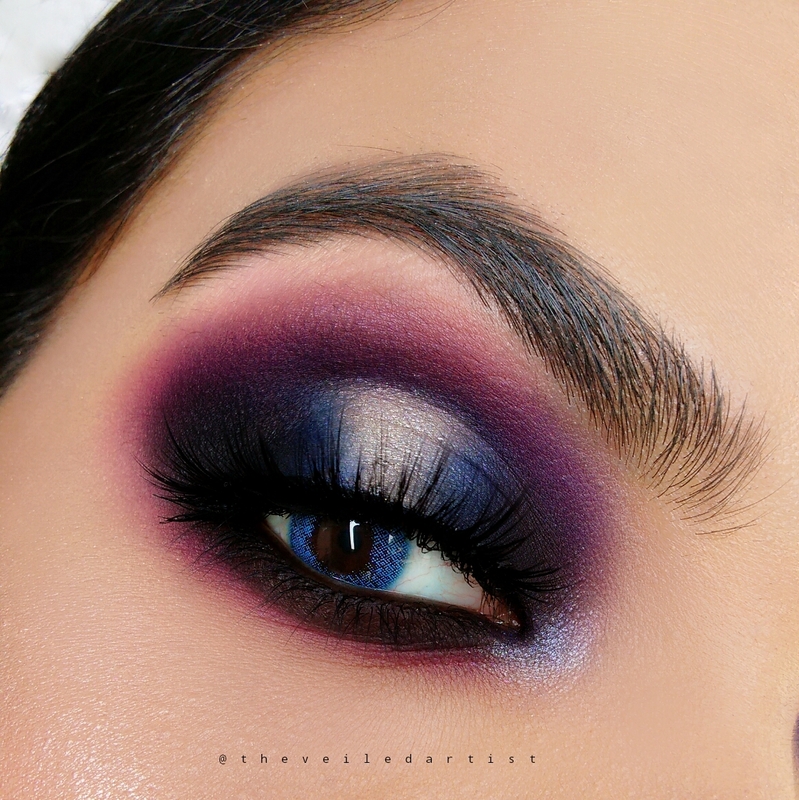 Now blend the matte black eyeshadow into the inner one third and the outer thirds of your eyelids and keep the center of your eyelids empty. You can also take a clean blending brush and blend out the edges of this black shadow into your crease. Next, pick up some of the matte blue eyeshadow and blend the edges of the black shadow we just applied, towards the center of the lid, as shown below. Using some concealer on a detail brush, carve out the center of your crease and bring the concealer downwards as shown below. Once you have cut the crease, use a white eyeshadow and pat over the area with the concealer to set it. 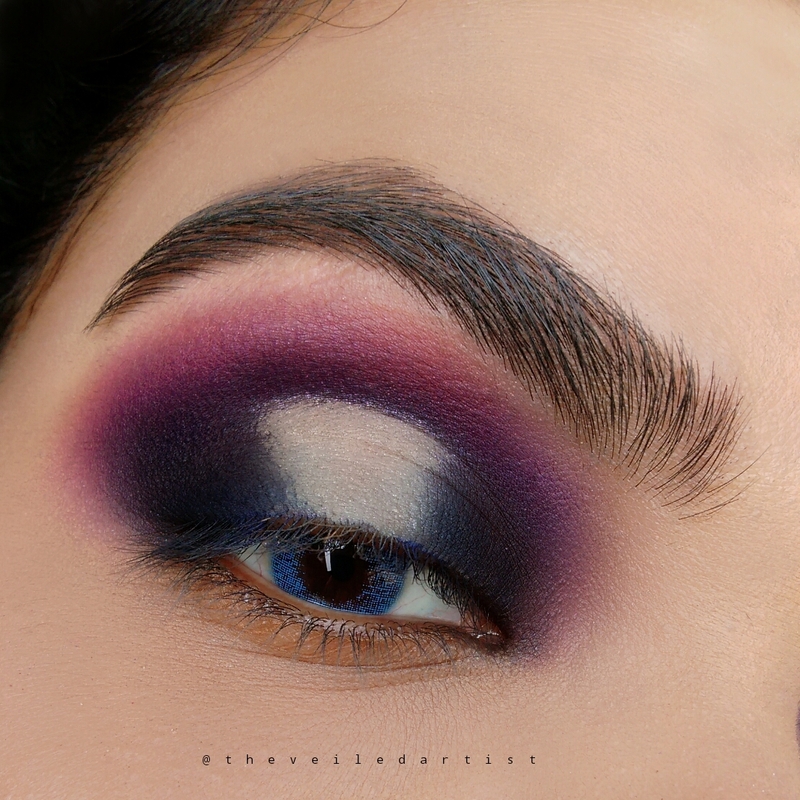 When you have done that, pick up a little bit of the same blue eyeshadow we used in Step 4 and use this to blend the edges of the concealer into the black eyeshadow on either side. 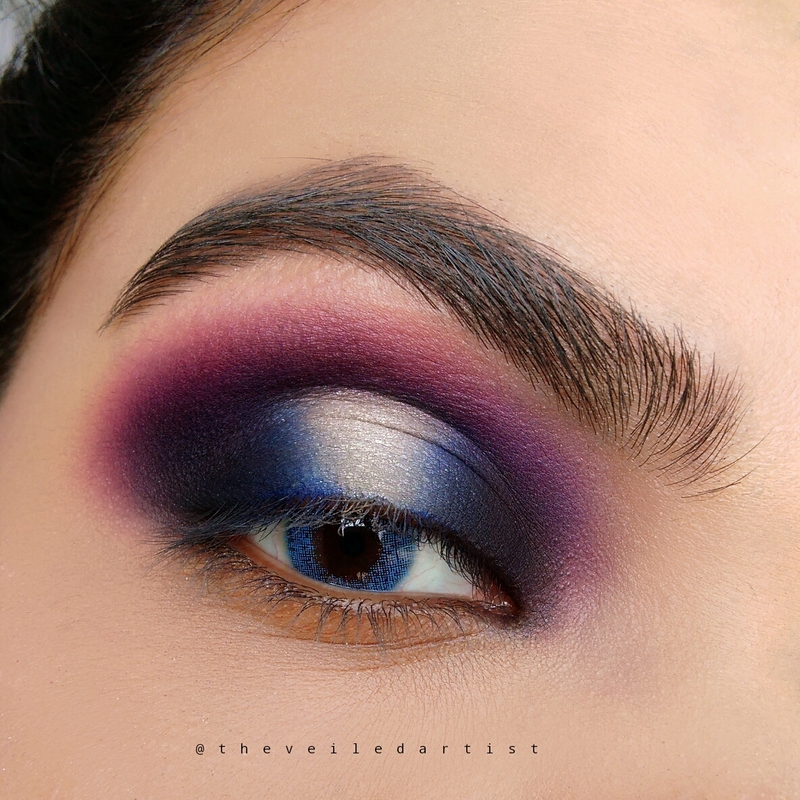 I wasn't very happy with how bright and opaque the white eyeshadow I used in the center was so I added a shimmery white shadow to the very center of the mobile eyelid. 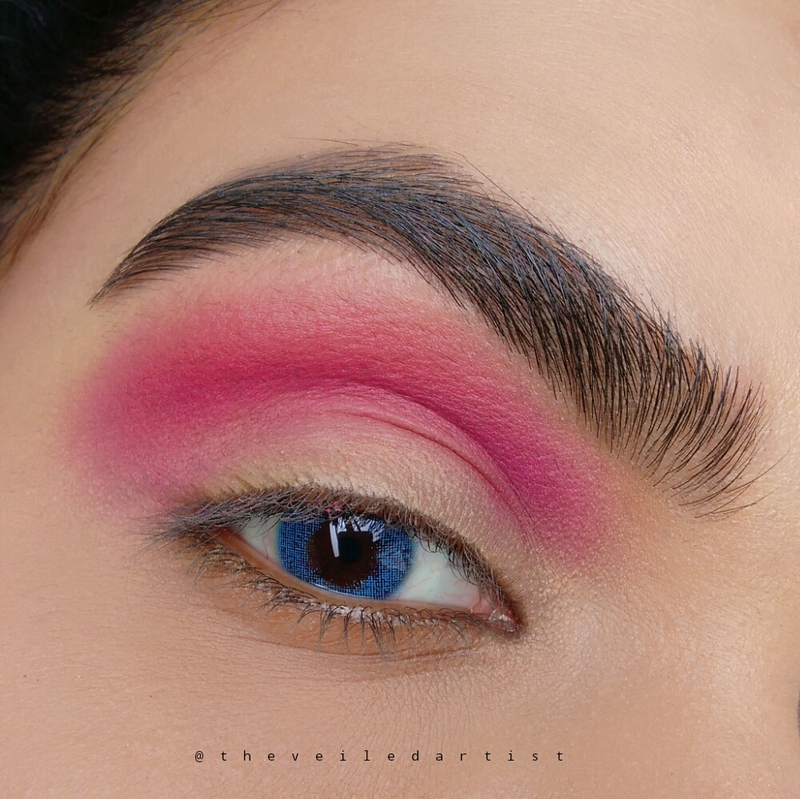 Now that we're kinda done with the eyelids, blend the same hot pink shadow you used in the crease all along your lower lashline. 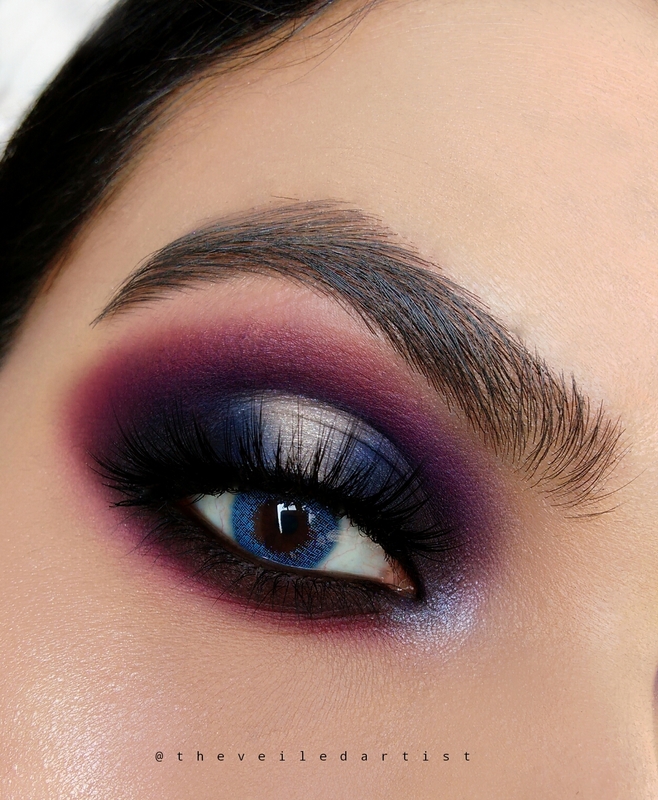 Next, line your lower waterline with a black pencil liner and using a smaller pencil brush or blending brush, blend some black eyeshadow all along your lower lashline, connecting the liner we used with the pink shadow we used in the previous step. 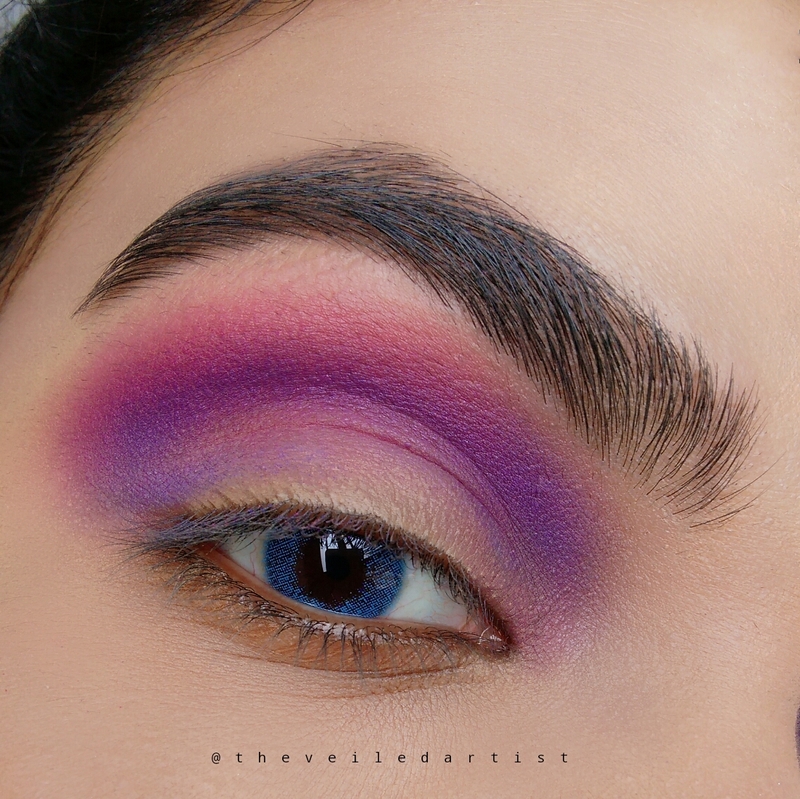 I don't think Mitchell did winged liner for this look, so simply line your upper lashline with a black liner and then pop on a pair of wispy falsies. I didn't take a photo of this step guys! I think I was too carried away haha. As the final step, highlight the inner corners of your eyes with a light icy blue eyeshadow and you're done loves!! 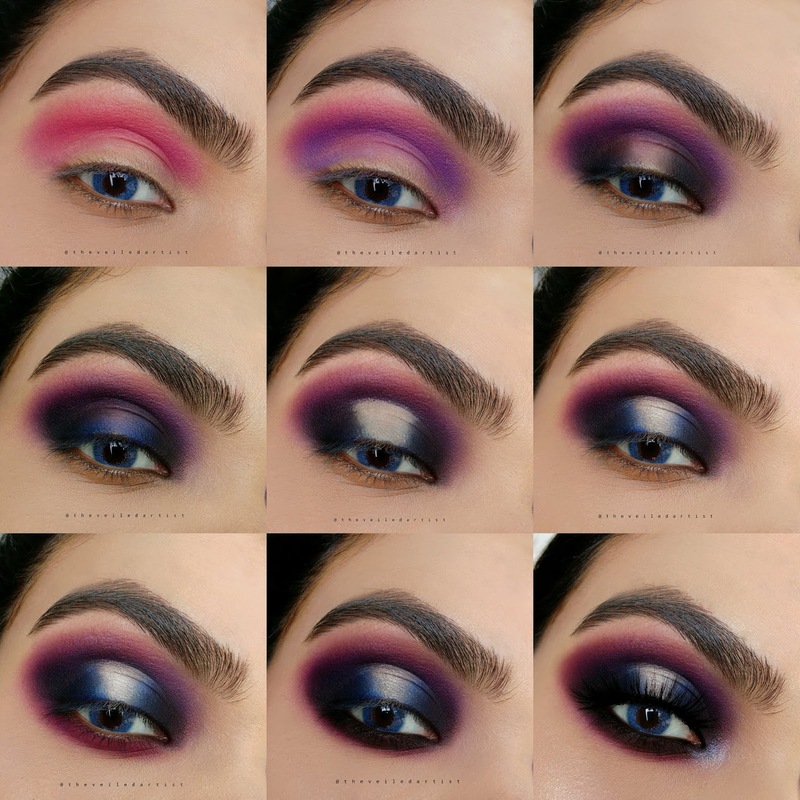 Scroll down for the products used list and the Pictorial! Thank you so much for reading my loves! 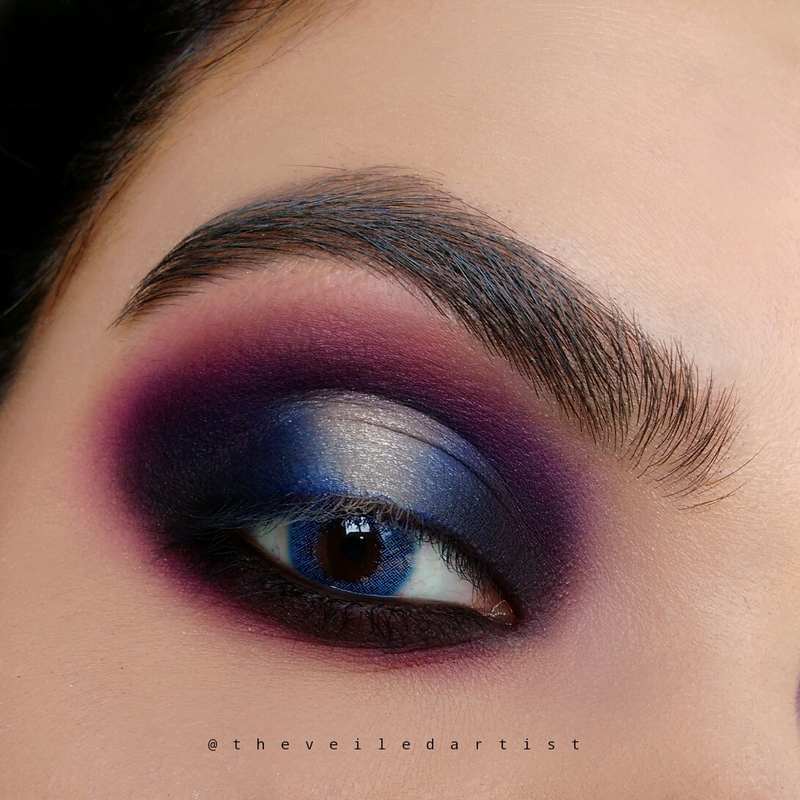 I hope you enjoyed this look as much as I enjoyed creating it! I love challenging myself to recreate more artistic looks like this and even though it may not be exact, I'm quite pleased with how it turned out! You can check my last post here. It was a tutorial on peachy pink glam perfect for day events or graduation and its worlds apart from today's look haha.